This was a World War II hit based on a 19th century tune composed by Thomas Haynes Bayly. The song is often credited to bandleader Glen Miller, however, it was written by Sam Stept, Lew Brown and Charles Tobias. The most famous rendition was performed by the Andrews Sisters in the 1942 movie Private Buckaroo. It is a more upbeat version than the 19th century British composer’s song and was hugely popular during the Second World War as a morale booster. One of Radiohead’s most iconic songs, lead singer Thom Yorke has said it was inspired by an area in east London known as Canary Wharf, which was constructed on wasteland by the Thames. It was supposed to be a major success but was hit by the economic downturn of the 90s. It had been landscaped with many artificial plants, hence the title of the song. The title of this U2 song was inspired by the title of chapter 7 of William Golding’s Lord of the Flies. This was one of the first songs from the Irish rockers, evolved from their early live sets. It was the only song that made it onto their first album from the initial demo they produced. If you’ve got any trees that are getting a bit too tall, then consider contacting a Tree Surgeon Bournemouth. What is a tree surgeon? A tree surgeon is a professionally trained arborist who specialises in tree care, maintenance and removal. 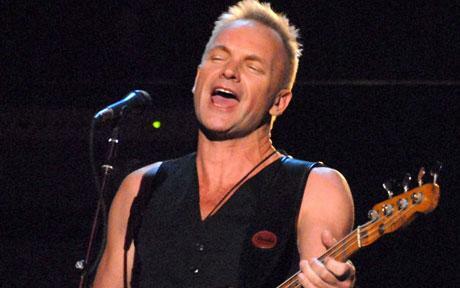 Sting believes this song tells the most touching story of the Nativity that he’s ever heard. The tale comes from an ancient English poem that was taken to America and adapted to be given an Appalachian setting. Mary and Joseph are walking together when Mary spots a cherry tree and asks Joseph to fetch her some as she is with child. Joseph replies that the father of the baby should get her the cherries, at which point the cherry tree bows before her so she can pick the cherries. This Verve song served to highlight the lead singer’s ongoing battle with depression and suicidal thoughts. Richard Ashcroft is clinically diagnosed with manic depression and has experienced battles with his mental health, drug addiction and suicidal thoughts since the 1990s. Taken from the Urban Hymns album, the project was initially meant to be a solo project as the band had split up. As he got more involved in the songs, he enlisted help from his former bandmates, resulting in it becoming a Verve album and the band getting back together. The album became one of the best-selling in UK chart history, but in the U.S, the biggest impact was their single called Bitter Sweet Symphony. The band split up in 1999, enjoyed a brief collaboration again in 2008, but broke up again soon afterwards.